We can recycle everything we use, including cigarette butts and toothbrushes. So why don’t we? When we buy a candy bar, we own the wrapper after the short life of the product; doing something with that branded possession, rather than adding to waste, feels good. Recycling is empowering to consumers and, in the case of traditionally recyclable materials such as glass, paper, rigid plastics and certain metals, economically viable. Recycling not only diverts potentially valuable materials from landfills and incinerators, it also offsets demand for virgin materials, helping to keep carbon in the ground. Recycling aligns human consumption with nature’s activities. But as human-generated waste streams continue to evolve in diversity and volume, the global community faces the mounting challenge of developing viable recycling and waste management solutions at a comparable pace. For example, electronic waste is currently the fastest growing solid waste stream, increasing two to three times faster than other waste streams. More broadly, industrial activities currently generate nearly 7.6 billion tons of solid waste in the US each year - that’s 3000% of the total municipal waste generated by Americans annually. As the world enters the Fourth Industrial Revolution, the ecological implications of not prioritizing sustainable resource management are dire. Economics, not high science, is what determines recyclability: a material is recycled only if one can make money collecting, sorting and recycling it. The environmental and health costs associated with trash are not currently included in the equations. These costs are considered externalities: society as a whole, rather than the manufacturer, retailer or consumer, absorbs those longer-term costs. Since the costs of not recycling are excluded from the value equation, linear disposal methods, such as land-filling and incineration, are the principle waste management options for most post-consumer waste streams. These linear solutions have come to haunt us: islands of plastic in the Pacific have begun to disintegrate, fish are eating the micro particles and humans eat the fish. Only by emulating nature and implementing the circular economy can humans arrest and, in time, reverse this vicious cycle. Can the circular economy transform the world’s number one consumer of raw materials? With evident limitations on what governments can or will realistically do, the impetus falls on the private sector. How can we find ways to provide incentives to cover the costs of collecting and recycling? For the past decade, my company TerraCycle has developed technologies to apply to difficult-to-recycle post-consumer waste streams that usually end up in the trash. Examples are cigarette butts, pens, water filters, used toothbrushes and toothbrush tubes, packaging waste, industrial adhesive containers and even dirty diapers, which have been processed into materials that are used to manufacture new products. Our R&D team is extremely innovative, but our true innovation is finding reasons for brands and manufacturers to justify paying for recycling when they don’t have to. We have found that recycling has become a sufficient priority for consumers, who patronize brands that enable the recyclability of their products and packaging. We have created business models allowing brands to see that incremental spending on recycling will produce incremental ROI; as a result, many waste streams that were previously unrecyclable are now being recycled. To achieve scale and generate efficiencies, we recently partnered with SUEZ, one of the largest waste management companies in the world. Through the deal, SUEZ can bring TerraCycle’s consumer-facing programmes to its customers in France, the UK, Belgium, Finland, the Netherlands and Sweden, and we gain access to perhaps the world’s largest sales force dedicated to the circular economy. Recyclability is among the top purchase drivers for a range of consumer products and consumers around the world today have demonstrated a willingness to pay a premium for sustainable goods and services. We’ve demonstrated that sponsoring recycling can be a pathway to migrate a company’s post-consumer products and packaging from the linear economy to circular economy. While I’m proud of our accomplishments, there remains a huge values-action disparity, or “green-gap,” where changes in consumer attitudes have not yet translated to changes in action. 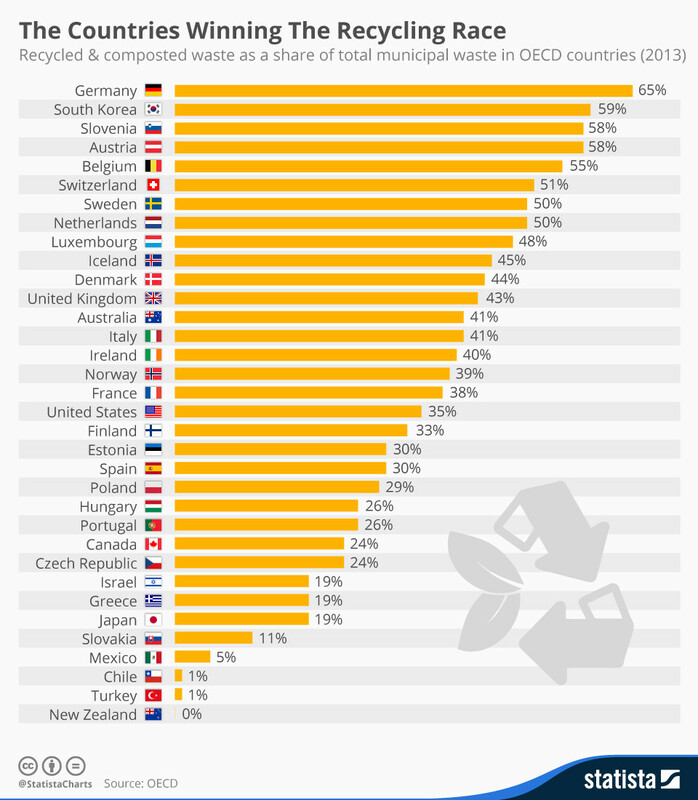 Recycling rates have stagnated in the last decade in relation to the volume of waste produced globally, and while many countries in the developing world work without a formal recycling system, the US still only recycles about 34% of its trash. Recycling almost everything we use is already possible. Consumer buying power, with the right social and political commitments, can drive demand for comprehensive recycling solutions at multiple levels. The scale of the world’s waste problem mandates that everyone in the consumption cycle act together to work towards regenerative, circular solutions that bridge the gap to zero waste.